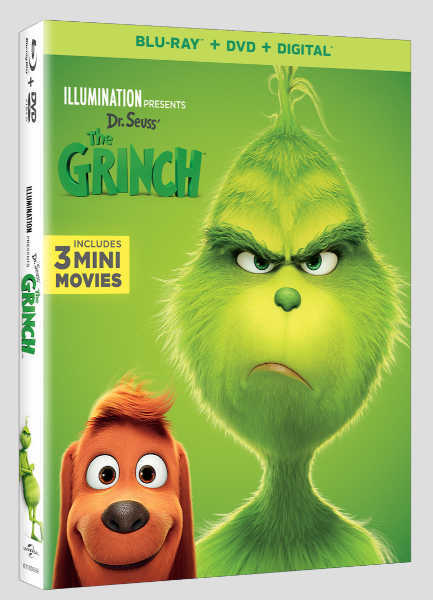 From Illumination and Universal Pictures Home Entertainment, the film based on Dr. Seuss’ beloved tale about a cynical grouch who goes on a mission to steal Christmas from others only to feel his own heart grow three sizes larger through unexpected friendships. I wasn’t sure I would be feeling this since the holidays and have past, but I was mistaken. This classic story was just as good in January as it was in December! A good reminder about starting the year with kindness is exactly what I felt. Being a fan of the original cartoon I found that this take on the classic might be just what the new generation of kids need. Of course the artists at ILLUMINATION do a fantastic job bringing this film to life. It’s the special touches such as the Grinch’s fur blowing the icy cold wind that make this so realistic. I also found him to be not as scary as the original. You kind of fall for him earlier on. While fans of the original might not go for it, I do think that kids today would love it. We love TheGrinch movie. Such a great holiday or really any time kind of movie. The Grinch has always held a special place in my heart.